Divina Denuevo features a collection of hand crafted leather goods made using antique and vintage hardware and adornments, and wherever possible, reclaimed leather. Hart Papery is a design studio that loves to create for the everyday. From jam labels to newsletters, our designs range from sleek and sophisticated to fun and cheeky. Our goal is to create something beautiful that will ‘jazz up’ the mundane. Divina Images is a fine art photography studio that specializes in a range of photography styles, from architecture and travel prints to boudoir and engagement shoots. 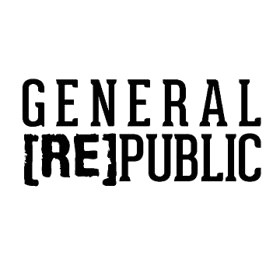 General Republic is a link of inked apparel featuring edgy designs and comfortable fit.